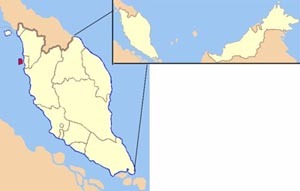 Fishing communities in Malaysia are worried about plans to build an artificial island for 12,000 homes, and a marina and yacht club off the east coast of Penang Island. ELAW partners in Malaysia called on us for help evaluating the project's environmental impact assessment (DEIA). ELAW Staff Scientists Mark Chernaik and Heidi Weiskel found that the DEIA grossly underestimates the project's impact on fisheries and the environment. "The project would result in permanent loss of mudflats and seabed habitat critical for fisheries and birds," says Mark. Mark and Heidi know from working with ELAW partners around the world that grandiose coastal developments are at risk of financial collapse if consumer demand for the project evaporates. The DEIA for the project lacks any financial assurances for a remedy should the project be launched then abandoned. Mark and Heidi's report critiquing the DEIA was in the Malaysian news last week. We will keep you posted about advances in the case.